On today’s special edition of Perspectives, I had a chance to sit and chat with young Franciscan Fr. Daniel Horan. Fr. Daniel is a Franciscan friar of Holy Name Province and an assistant professor of systematic theology at the Catholic Theological Union in Chicago. 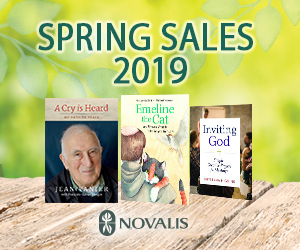 He is also the author of several books, including the award-winning The Franciscan Heart of Thomas Merton: A New Look at the Spiritual Inspiration of His Life, Thought, and Writing. In our chat, we spoke on a wide range of topics, including how and why he was drawn to the Franciscan way of life and how he sees St. Francis' spirituality in the current pope's pontificate. Of course, the interview wouldn't be complete if we didn't talk about his new book and why Thomas Merton is so relevant to today's world. And for those of you who saw the Salt + Light's, Finding St. Anthony, you may have recognized Fr. Dan in the film. He also opens up about his experience in preparing for that film.